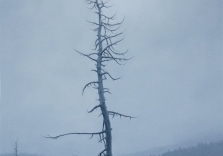 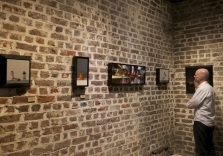 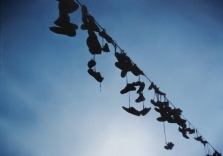 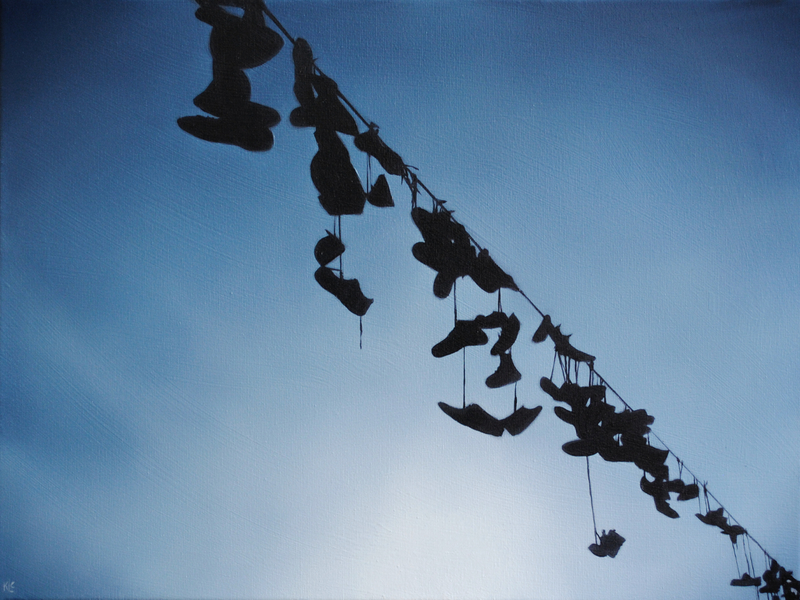 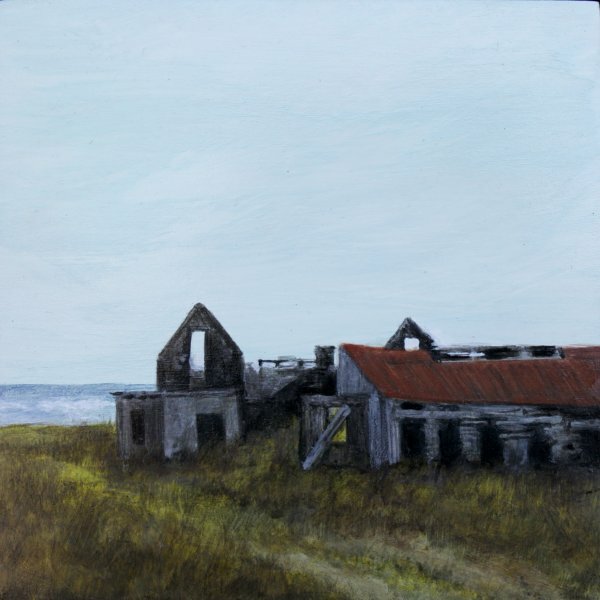 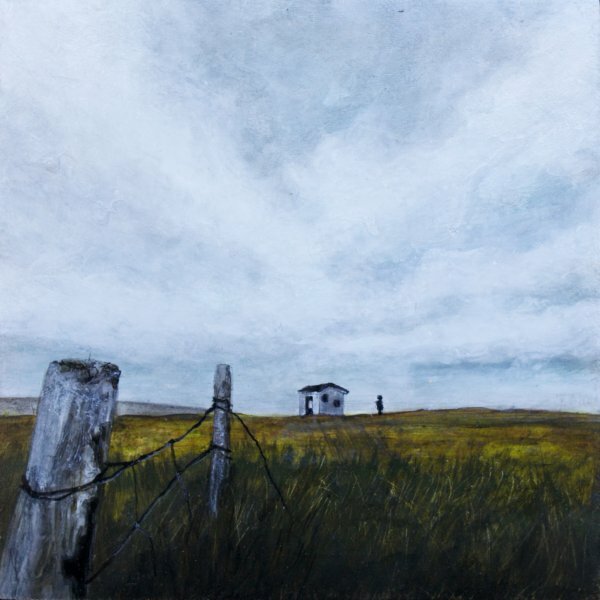 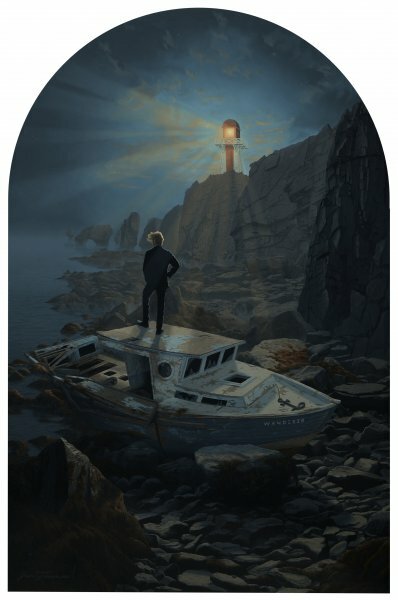 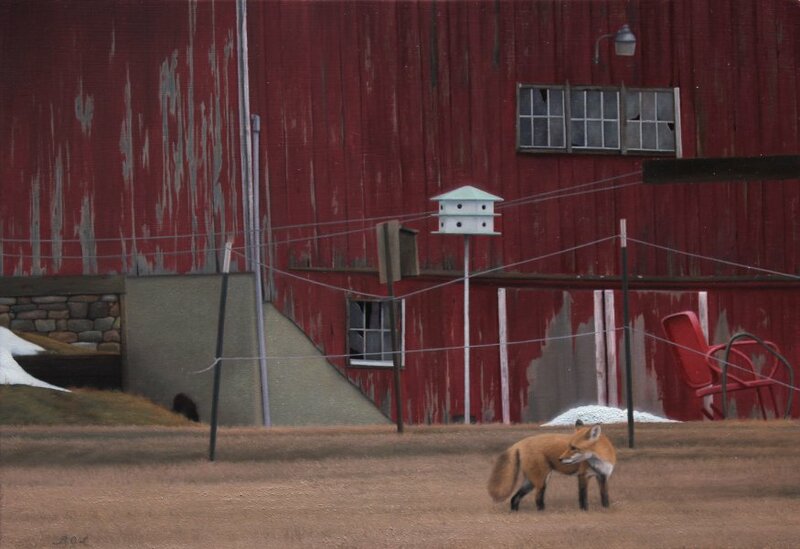 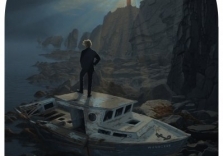 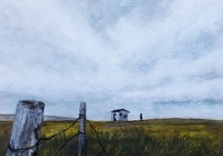 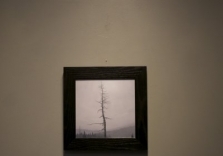 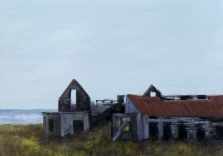 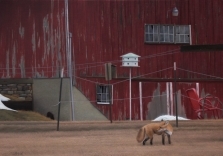 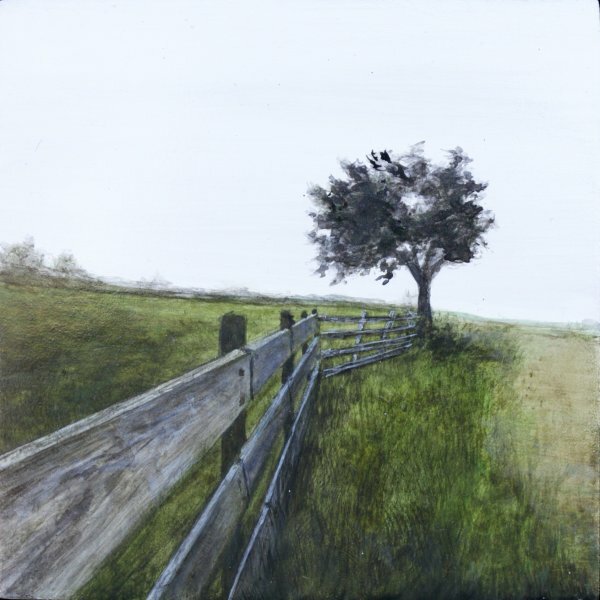 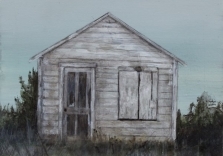 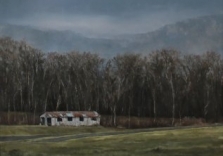 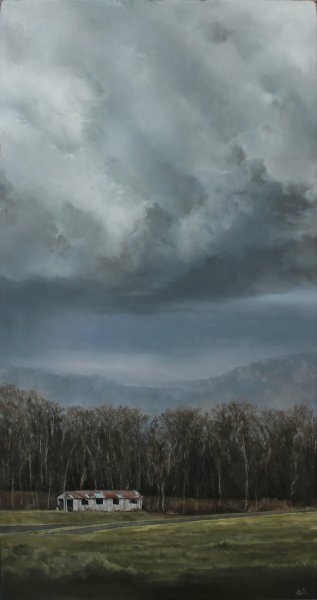 “Remnants” will open at Robert Lange Studios on Friday, May 6 and exhibit through the end of May. 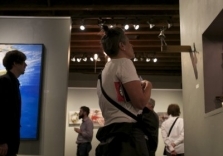 Twenty artists were asked to create paintings, not size or medium specific, that depict manmade and natural objects being reclaimed by nature. 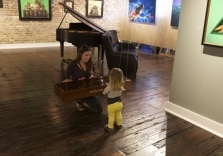 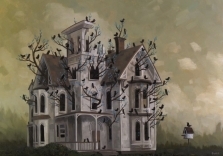 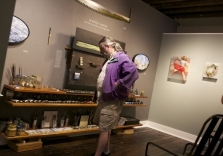 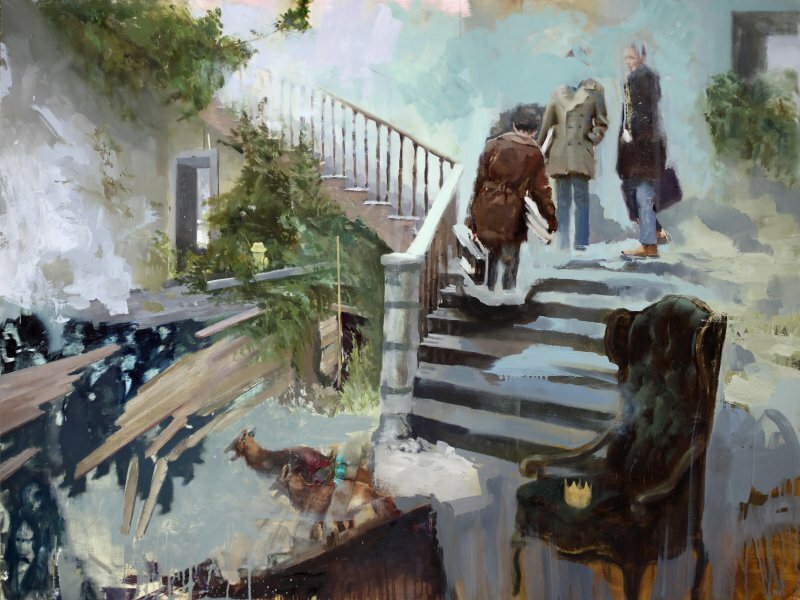 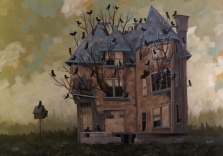 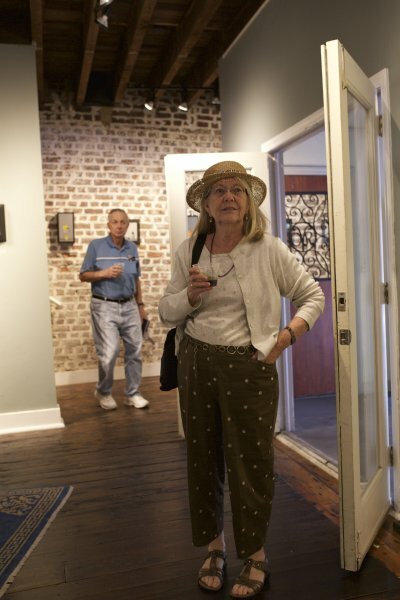 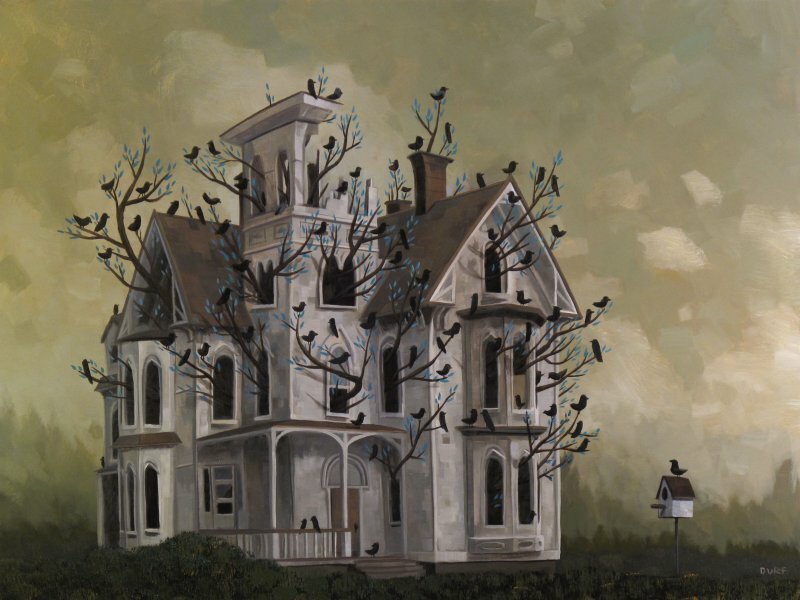 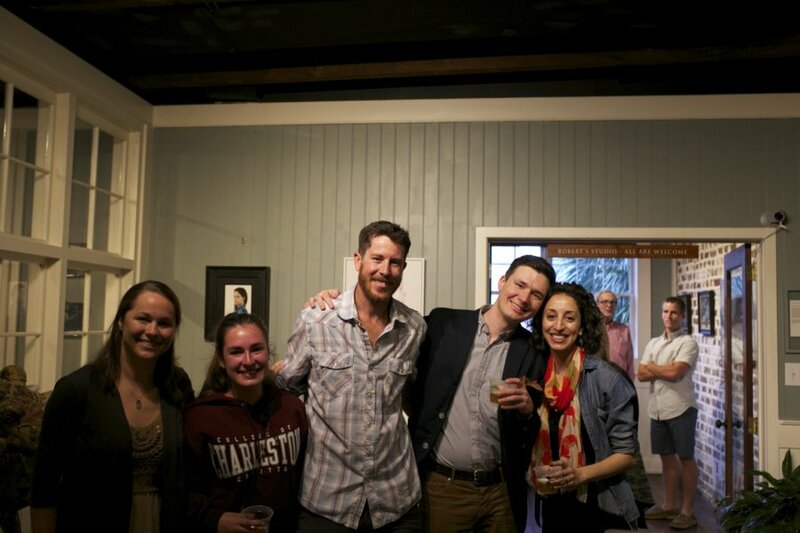 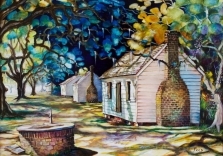 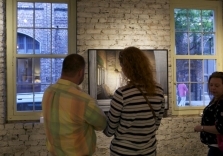 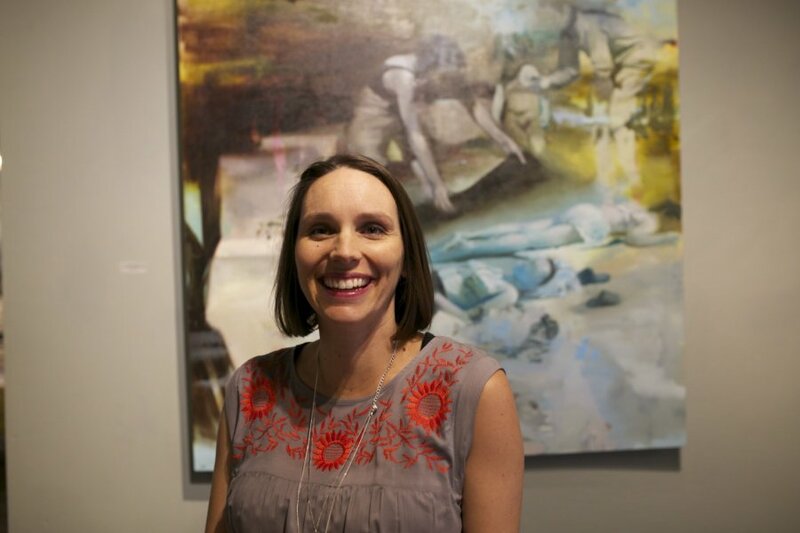 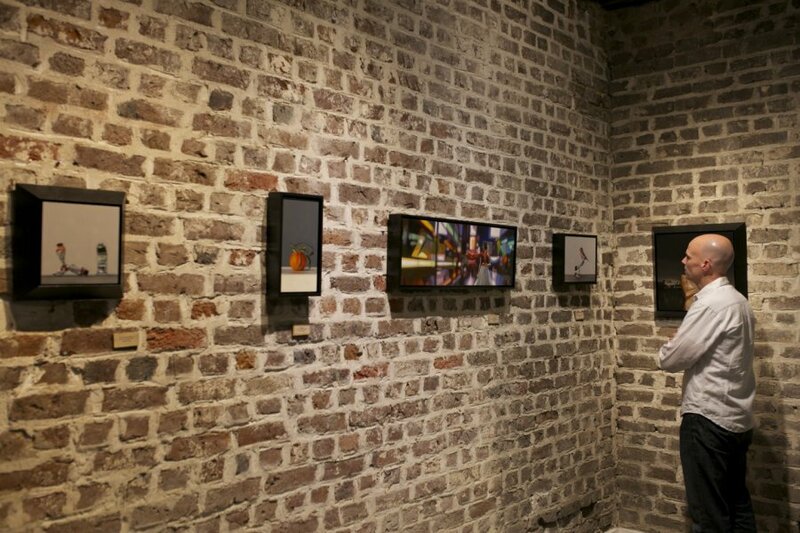 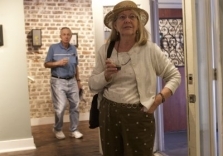 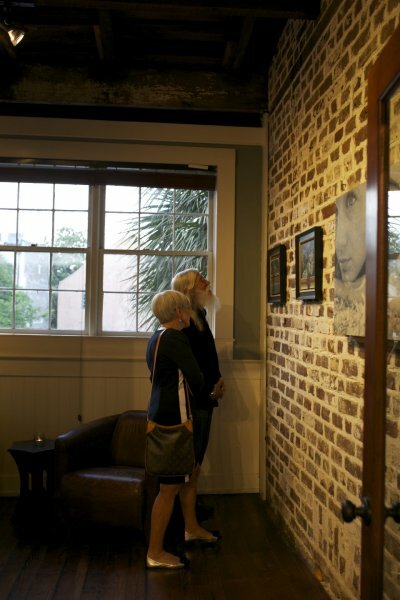 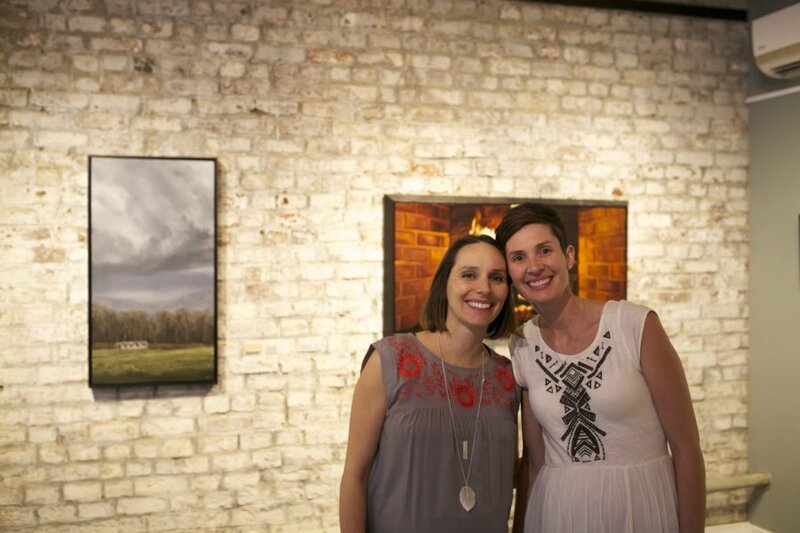 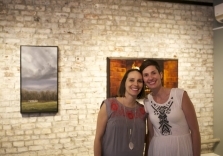 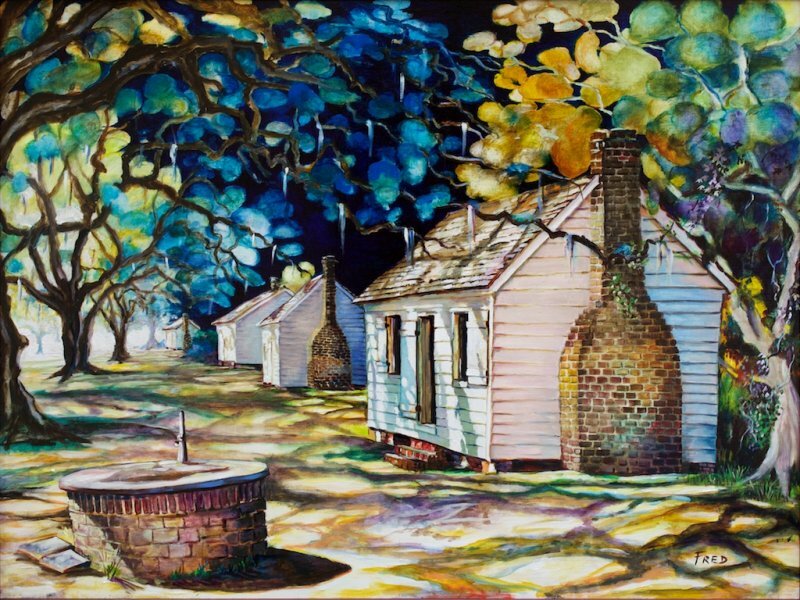 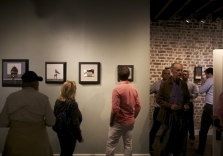 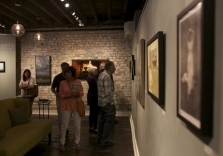 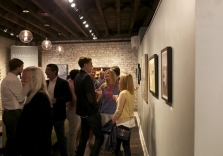 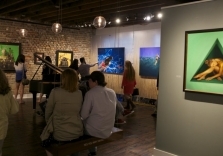 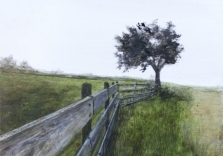 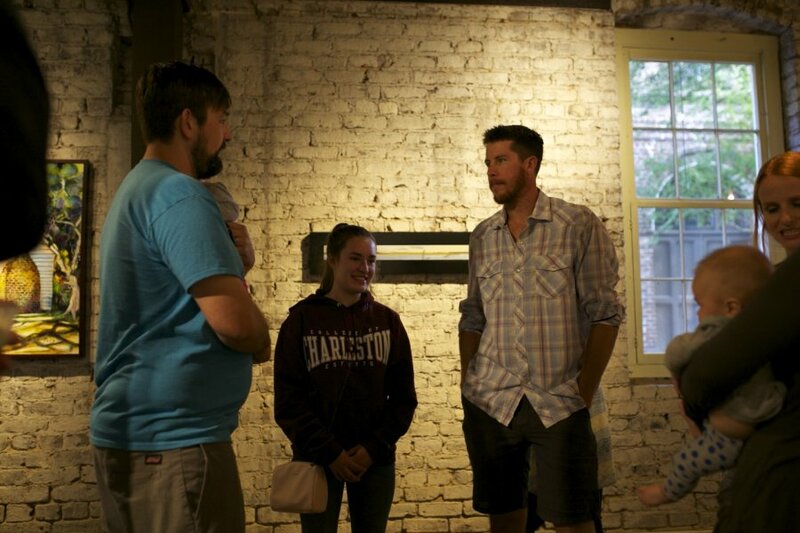 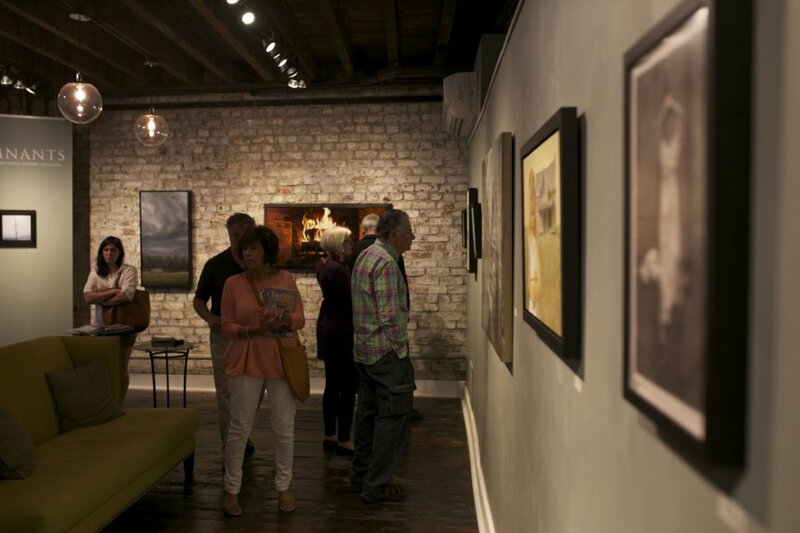 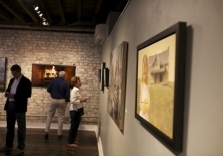 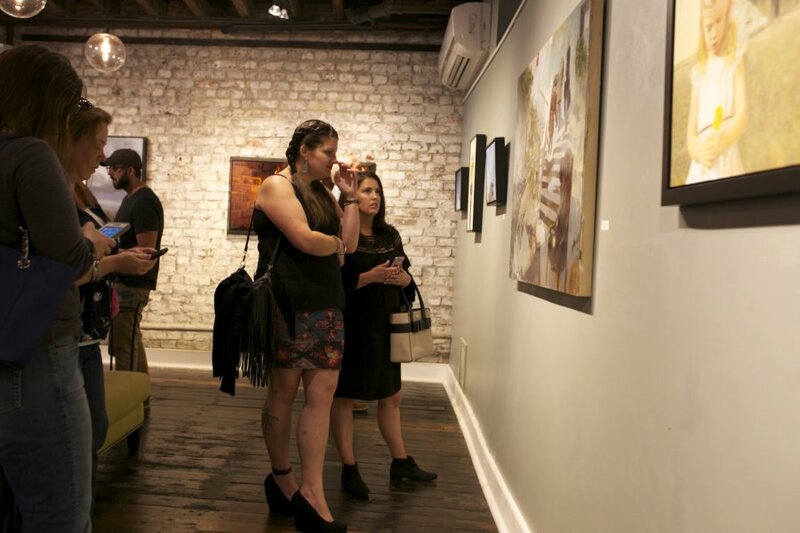 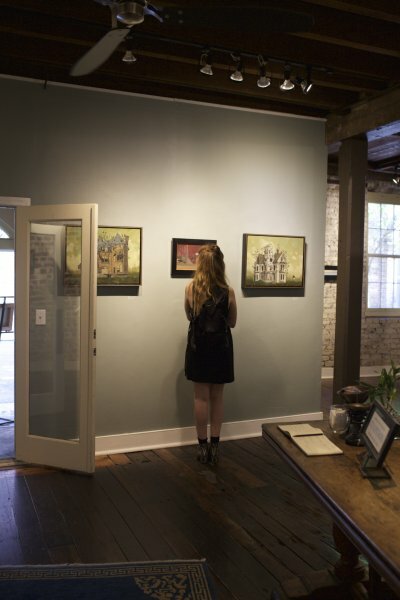 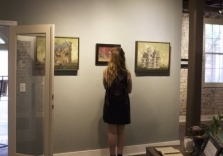 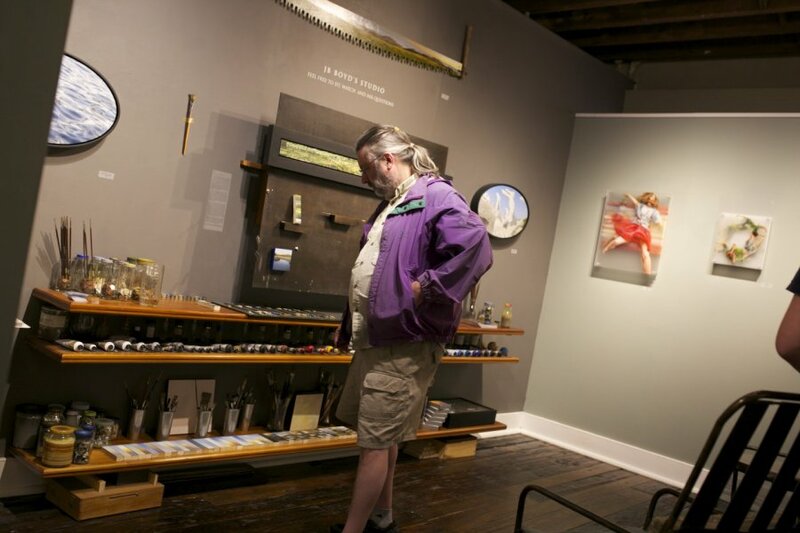 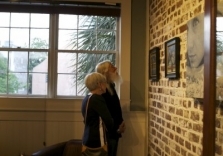 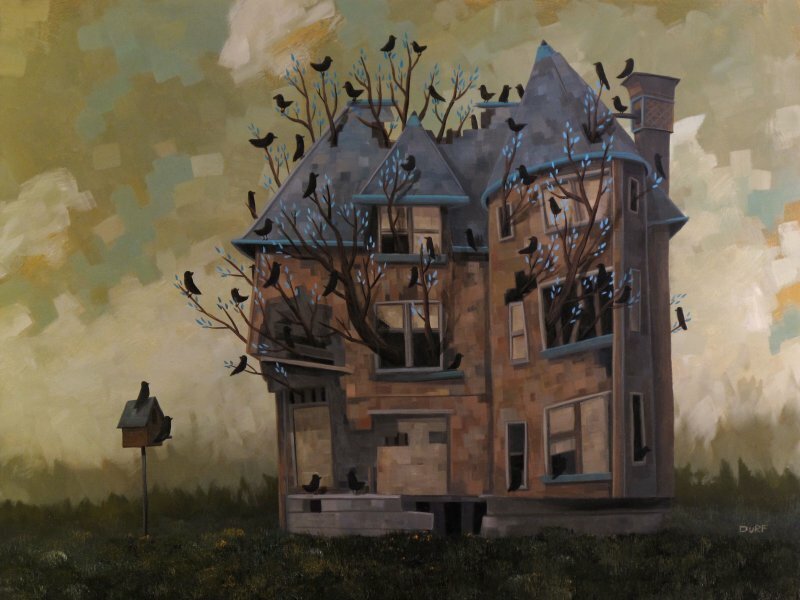 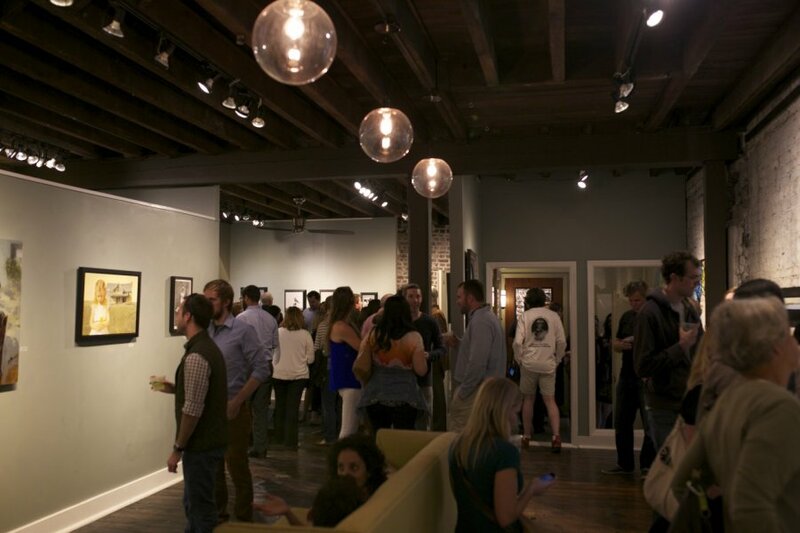 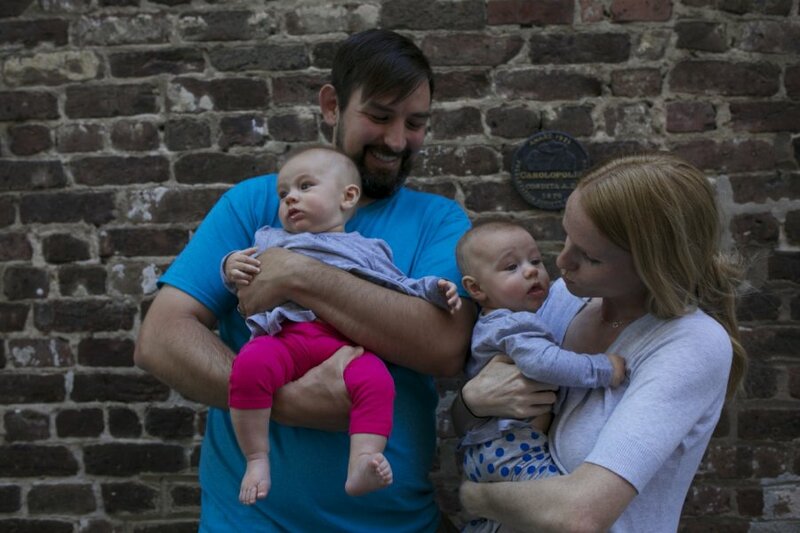 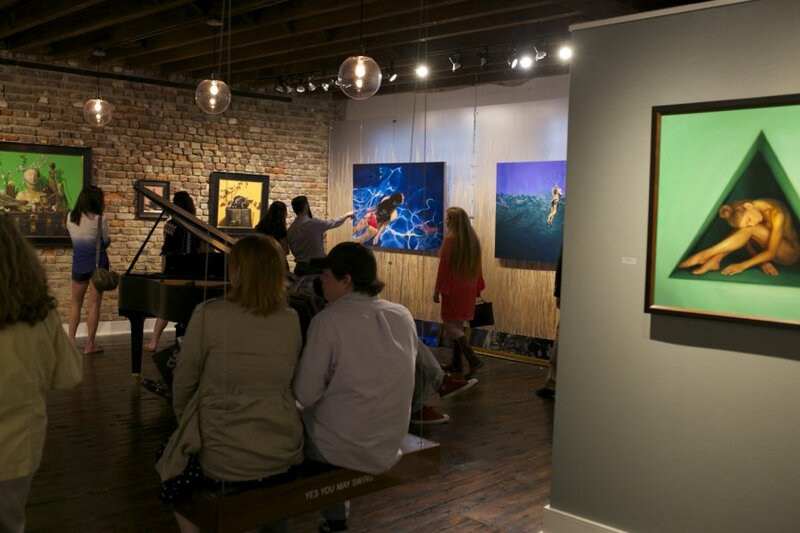 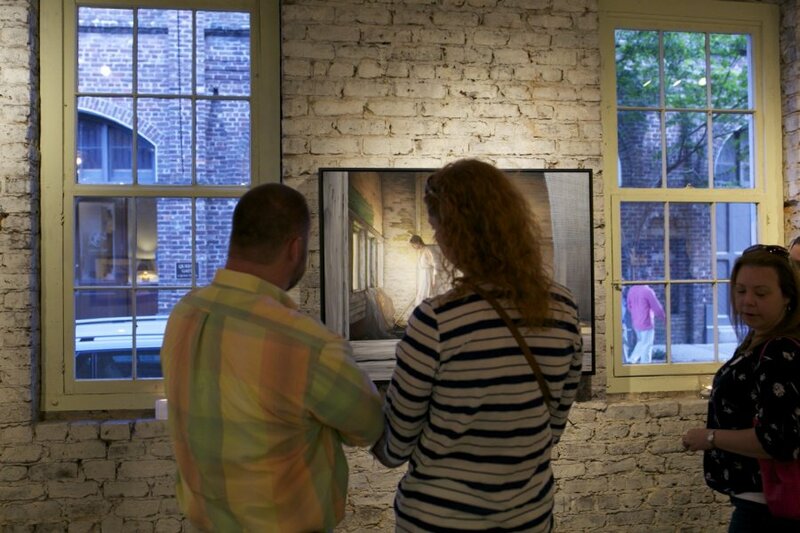 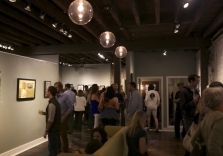 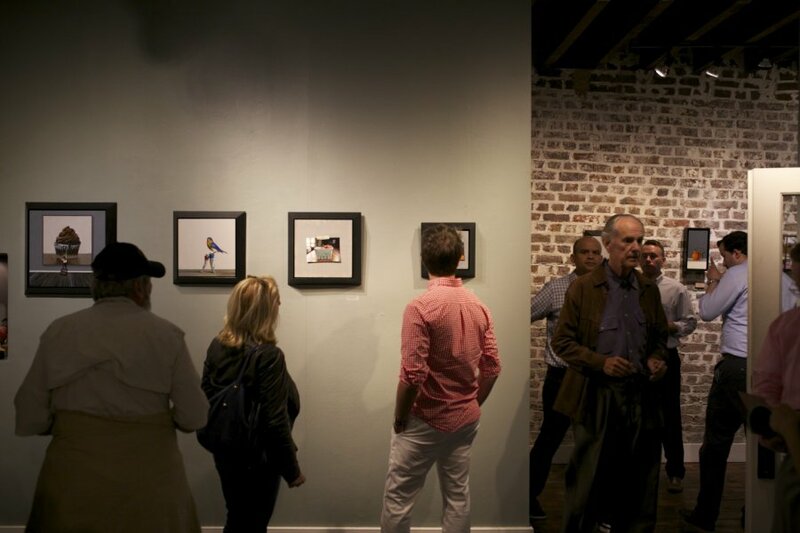 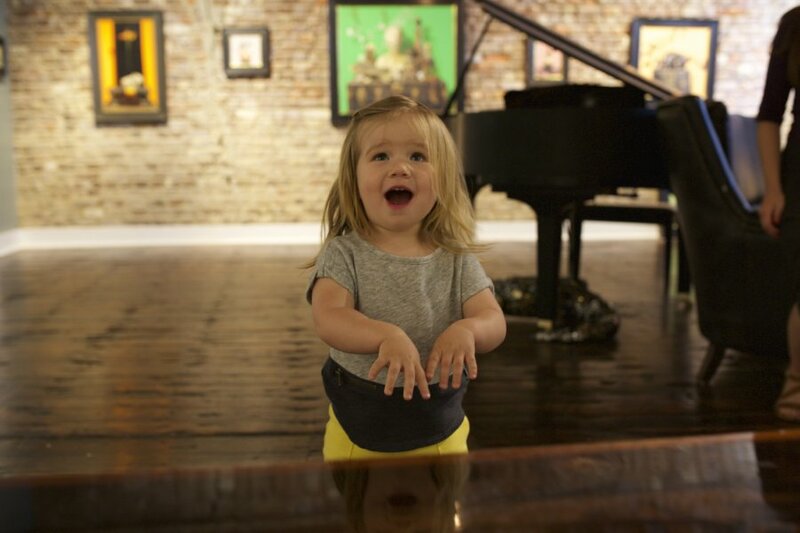 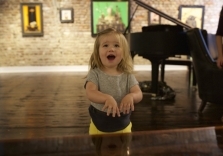 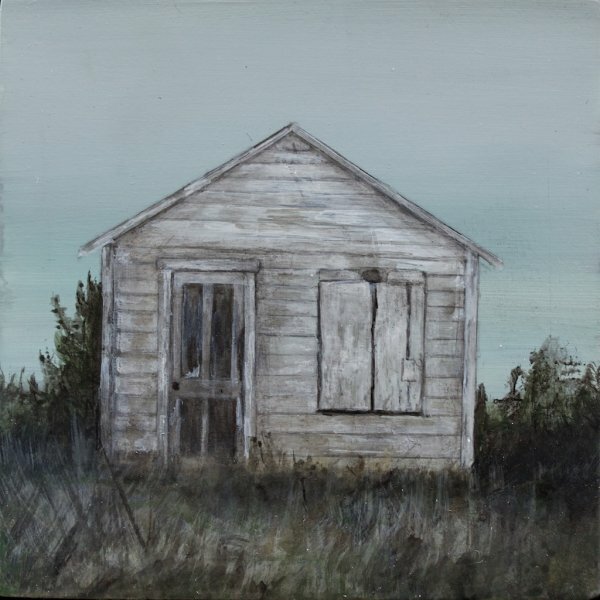 These annual themed group shows at Robert Lange Studios have been developed to connect artists from the Charleston area and across the country. 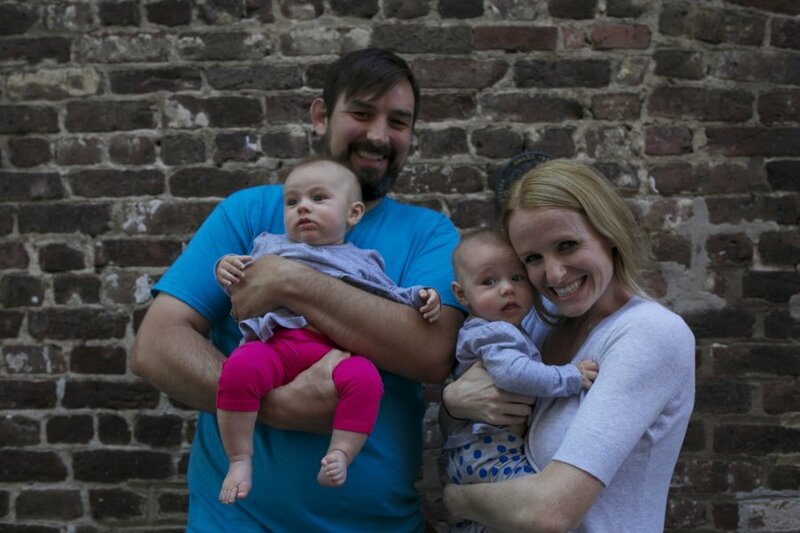 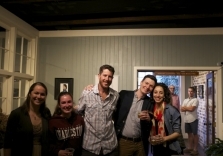 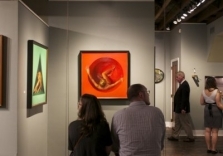 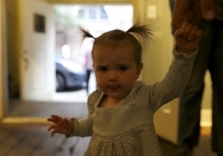 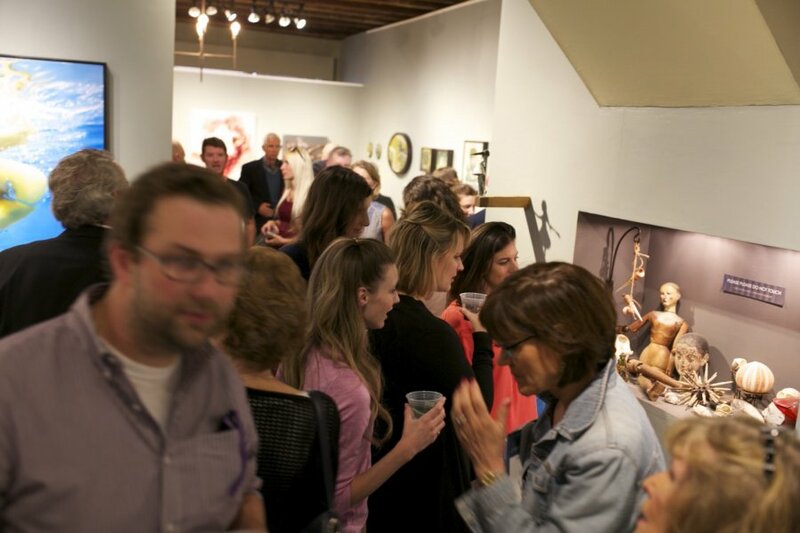 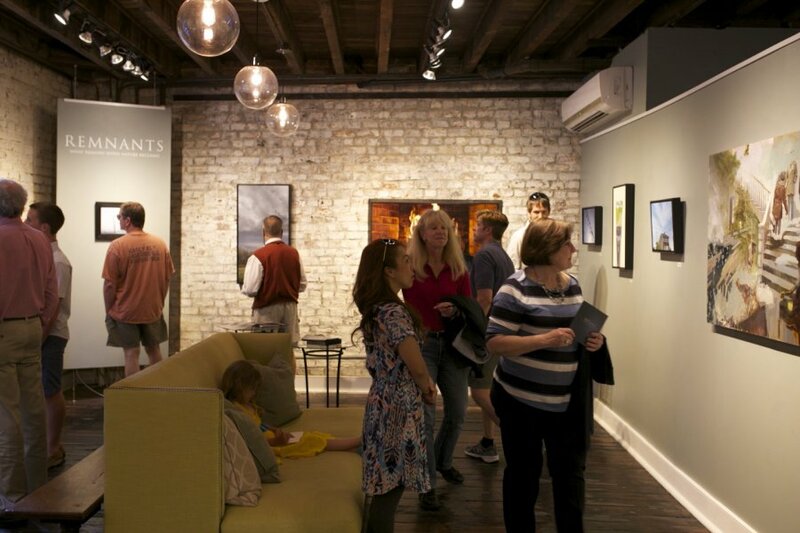 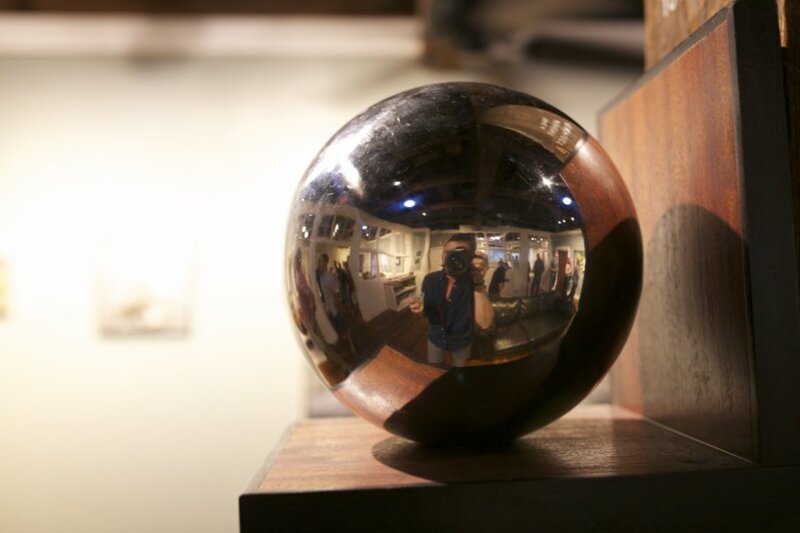 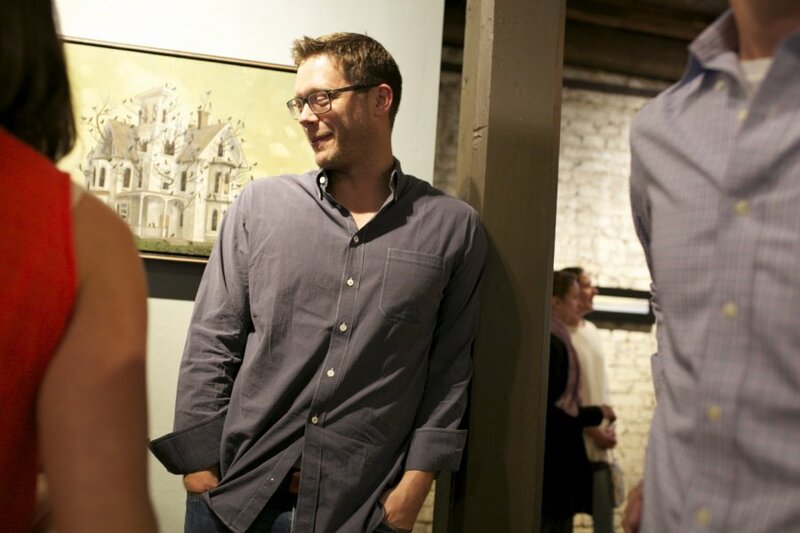 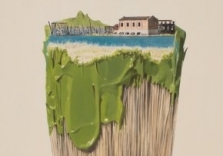 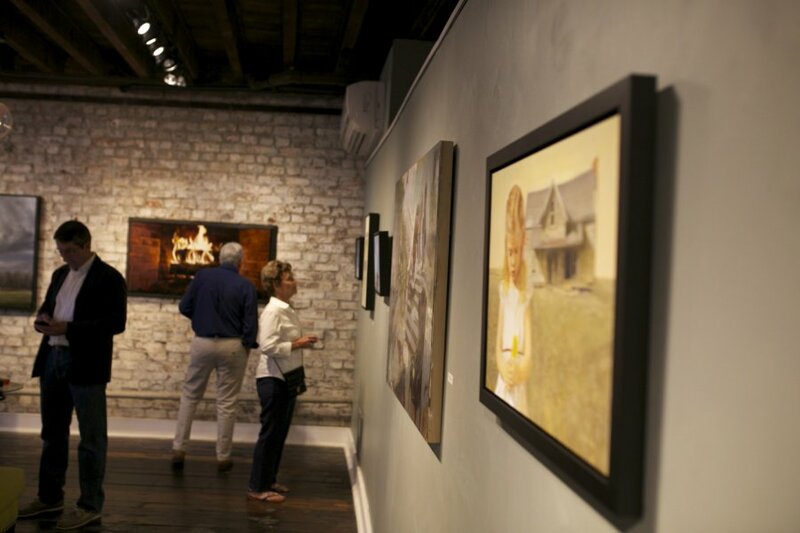 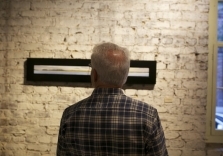 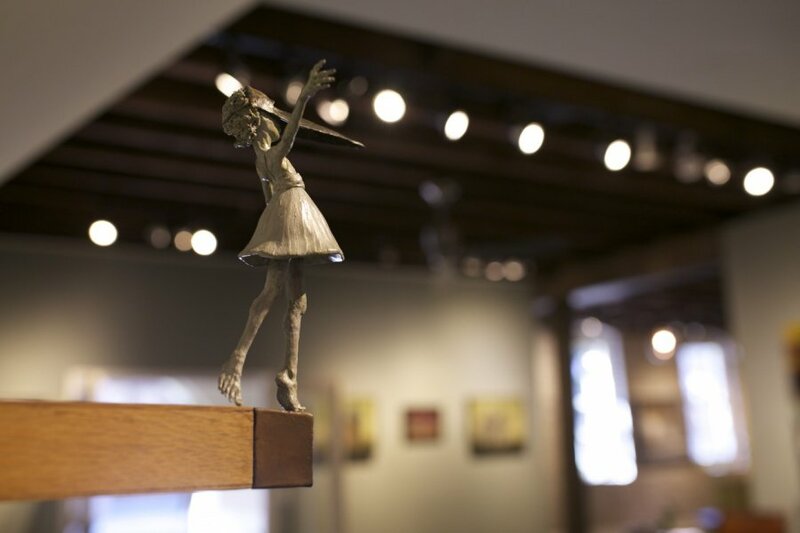 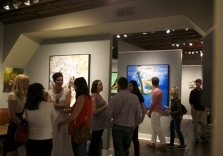 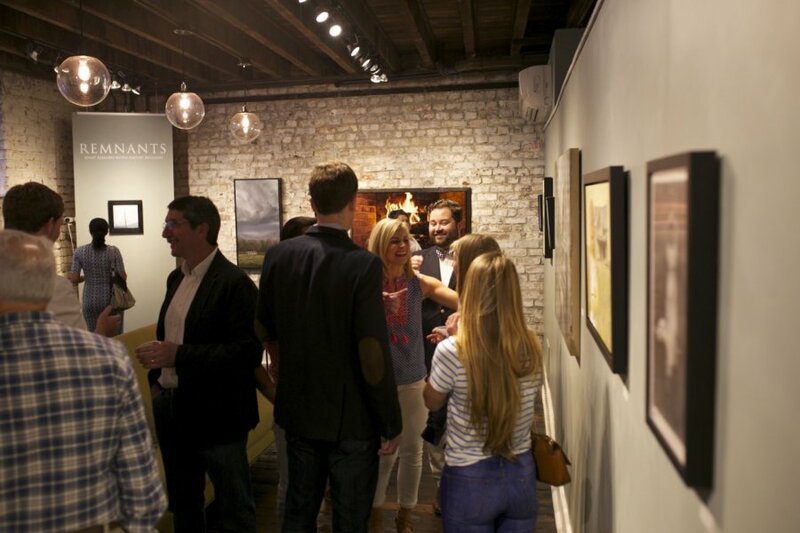 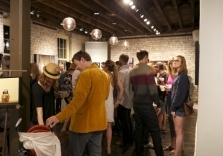 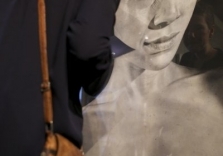 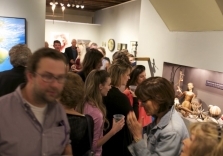 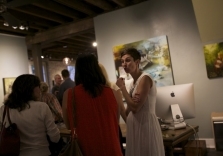 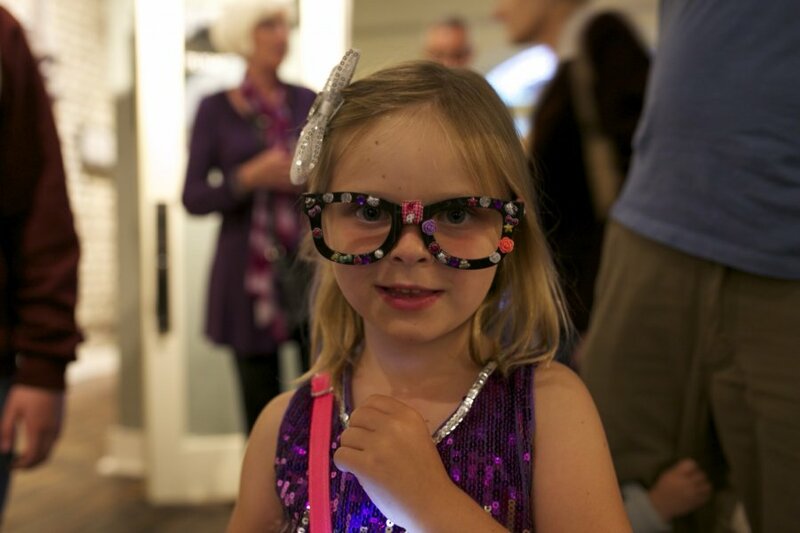 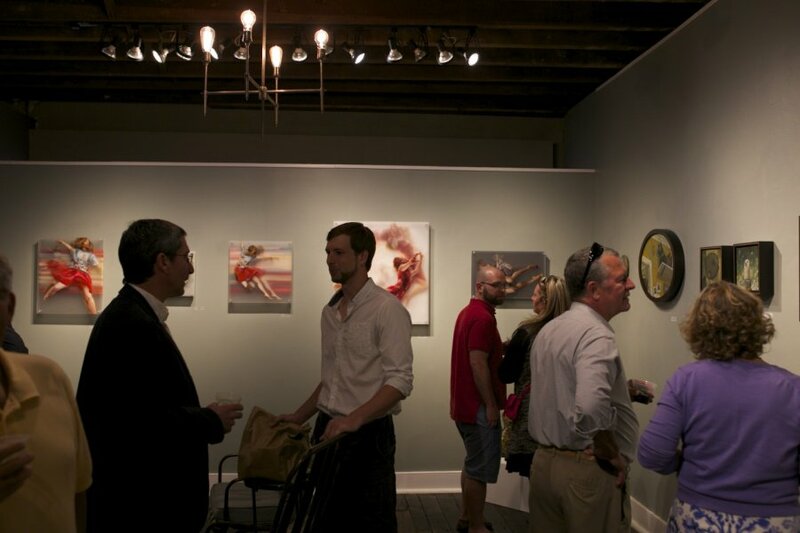 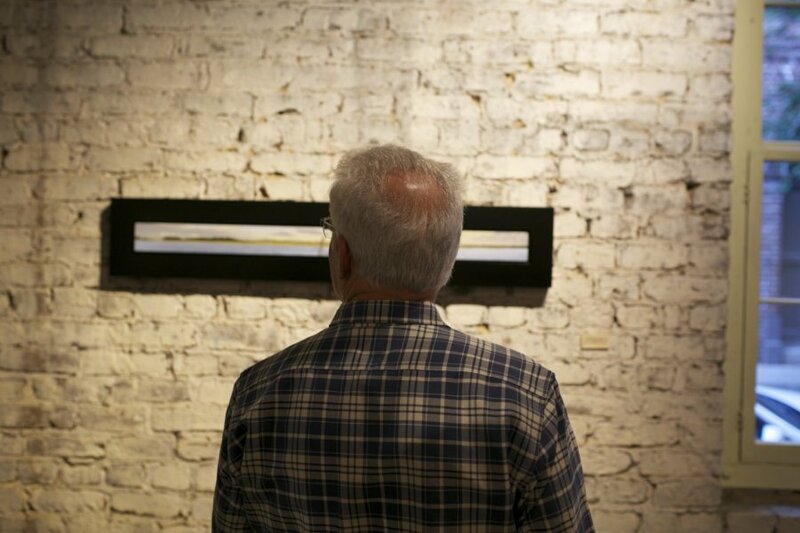 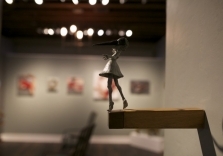 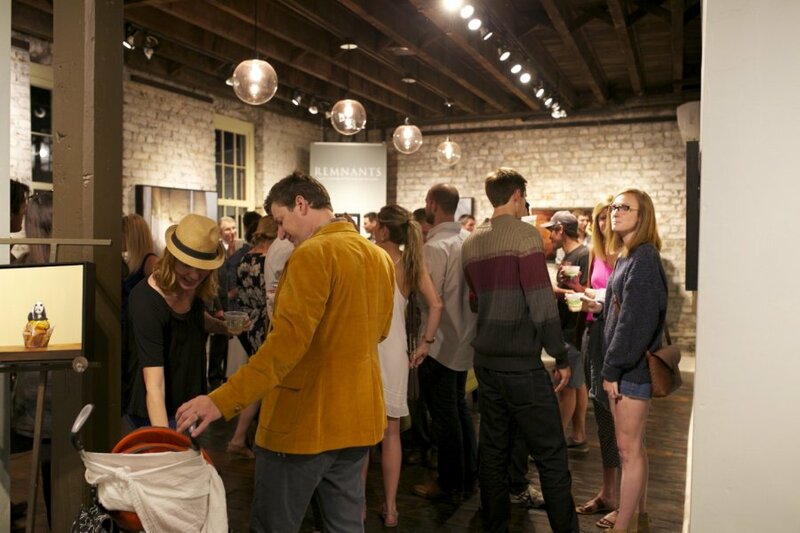 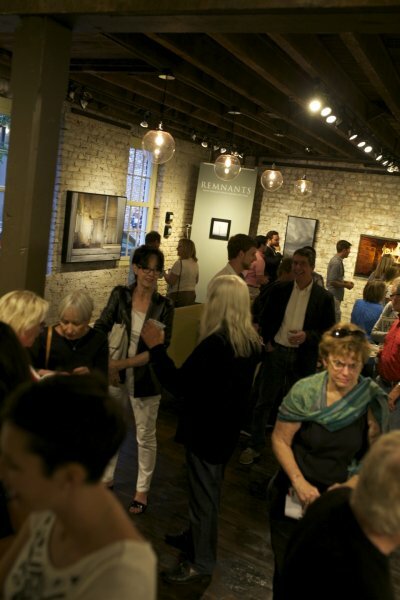 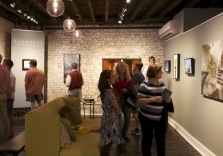 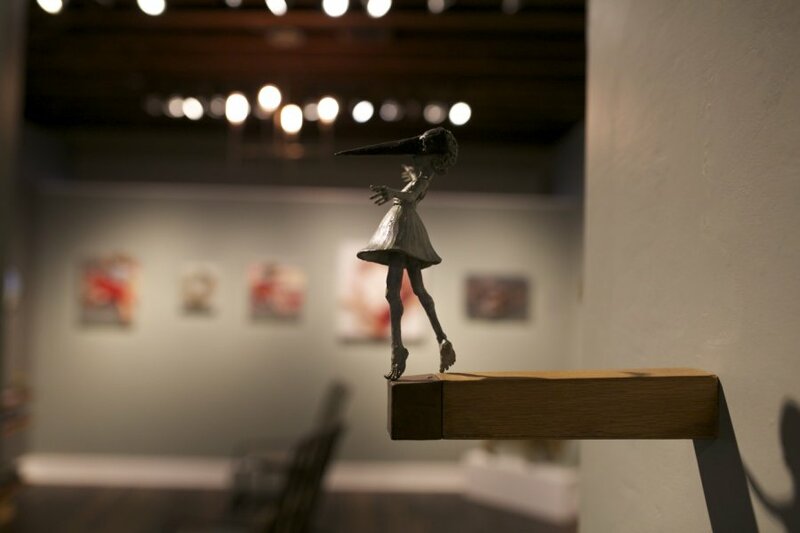 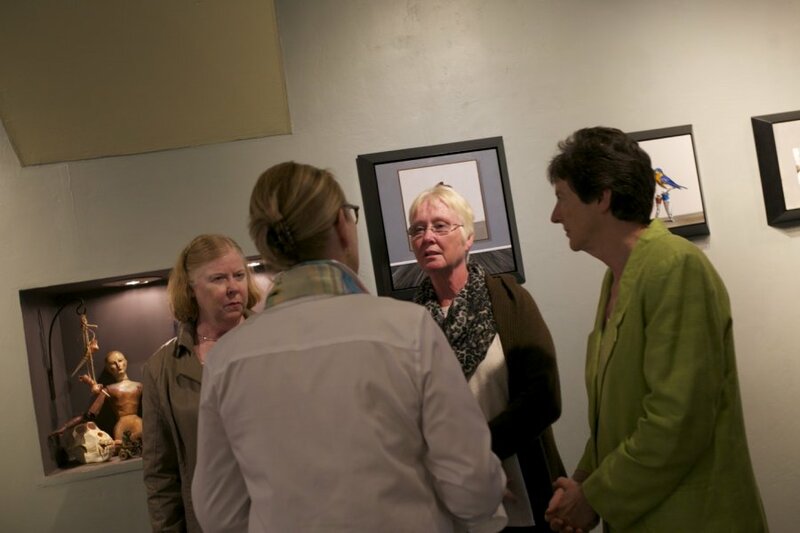 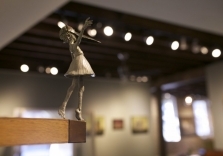 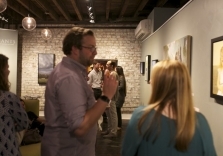 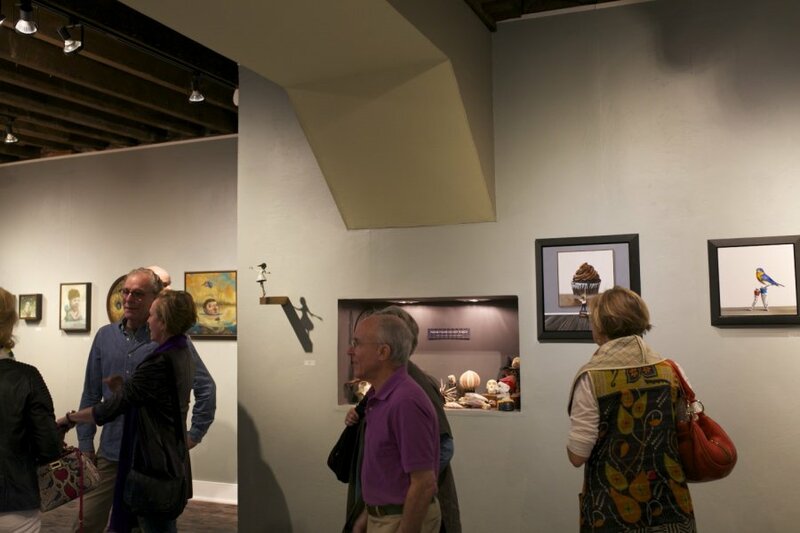 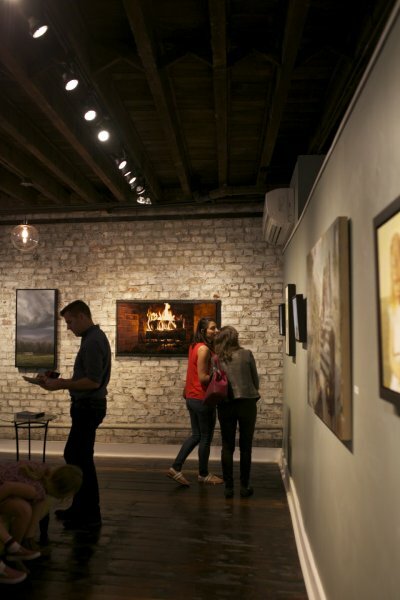 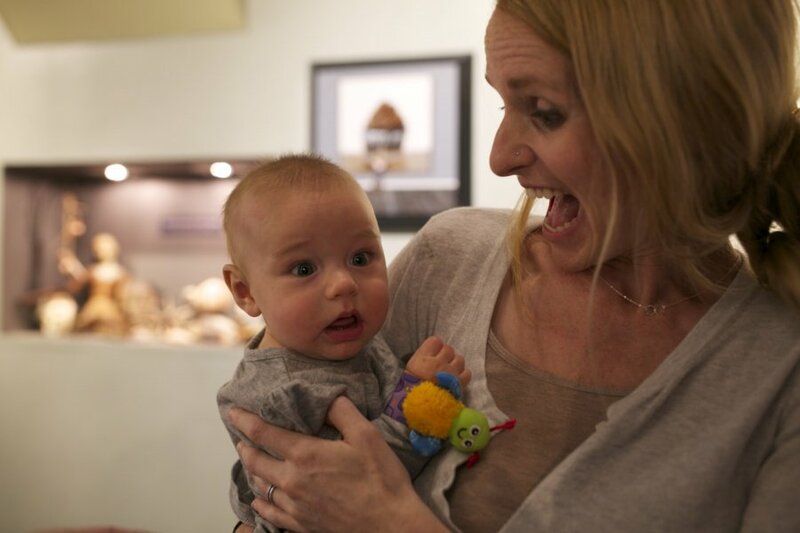 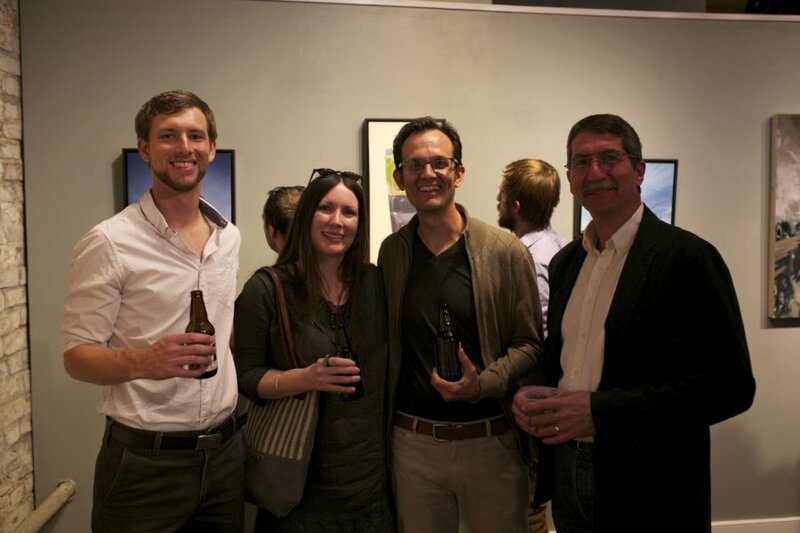 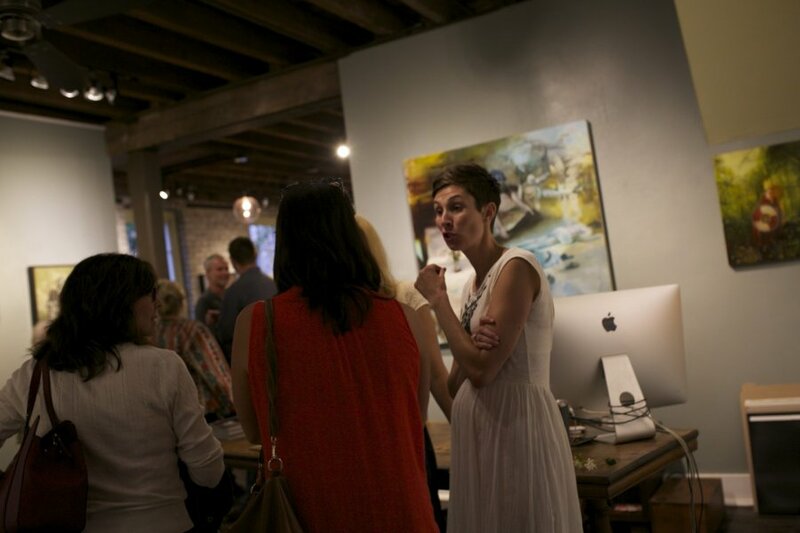 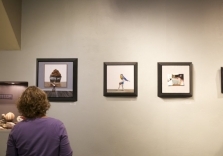 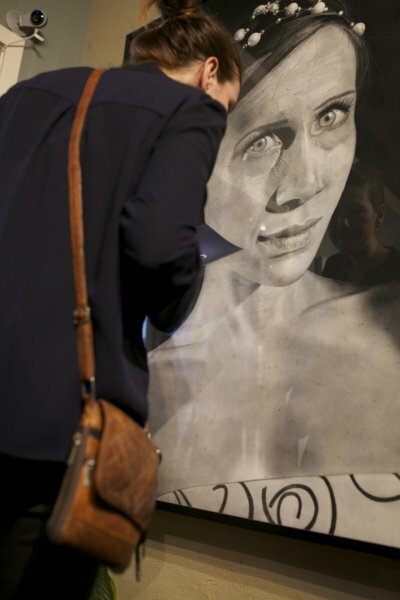 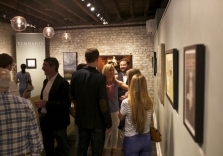 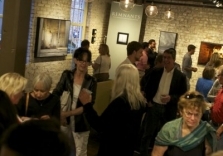 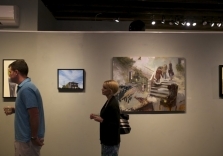 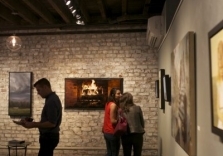 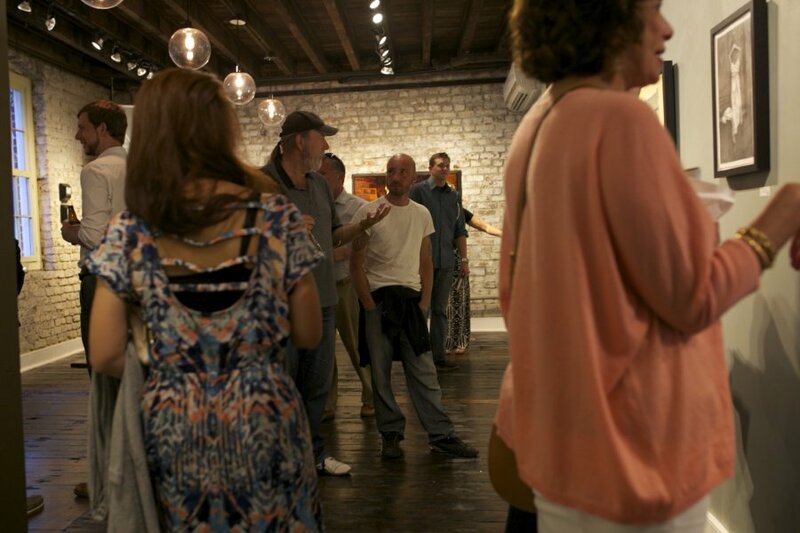 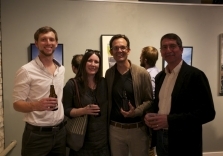 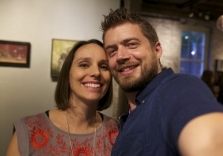 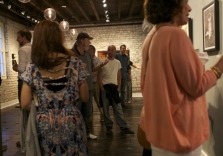 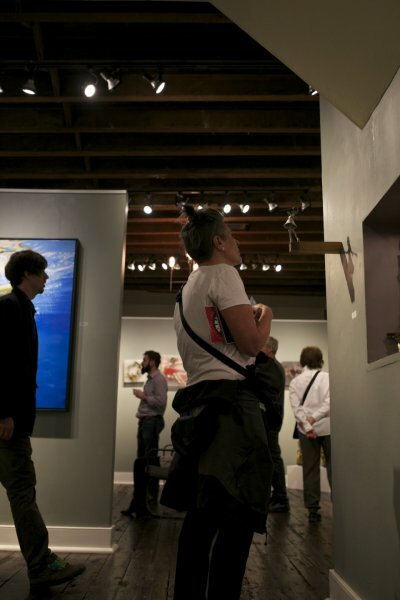 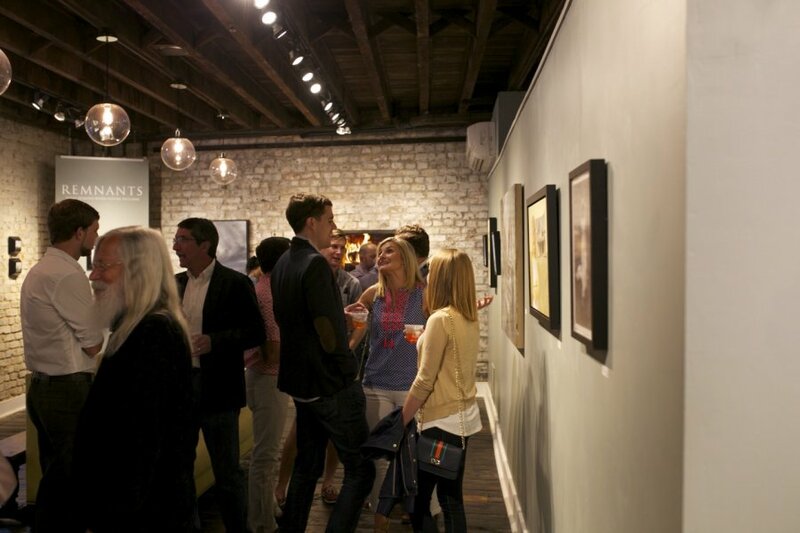 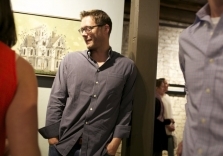 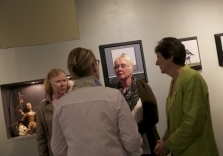 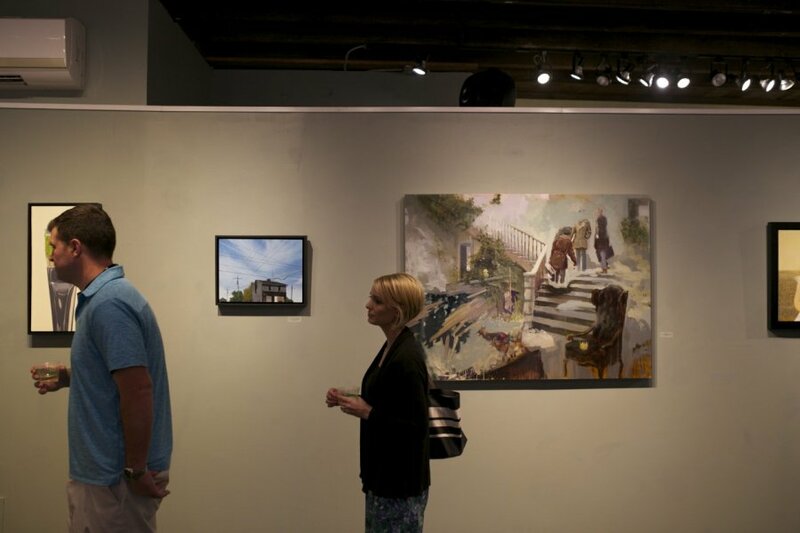 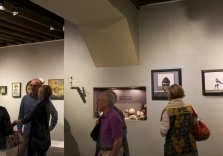 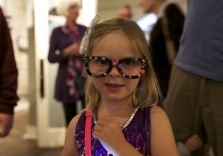 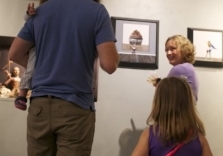 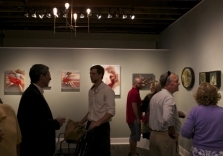 Artists will present their best work in Robert Lange Studios’ 2 Queen Street gallery space. 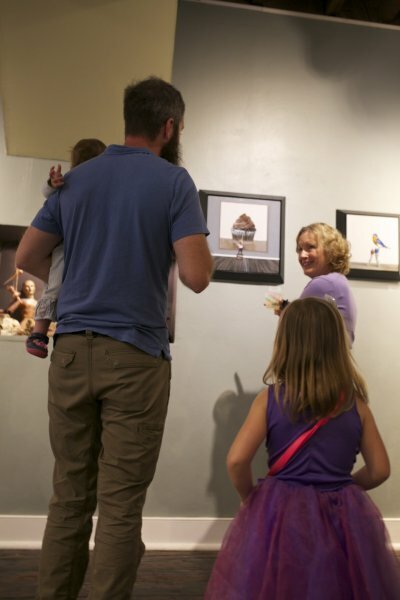 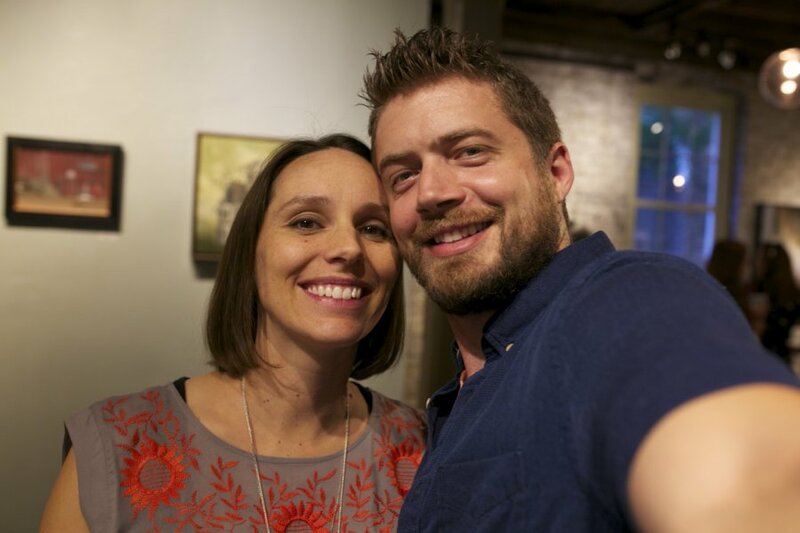 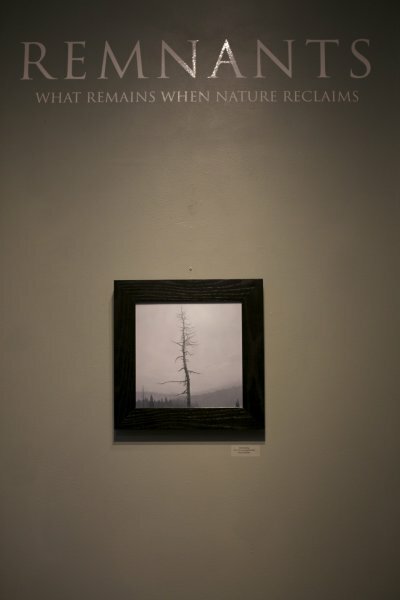 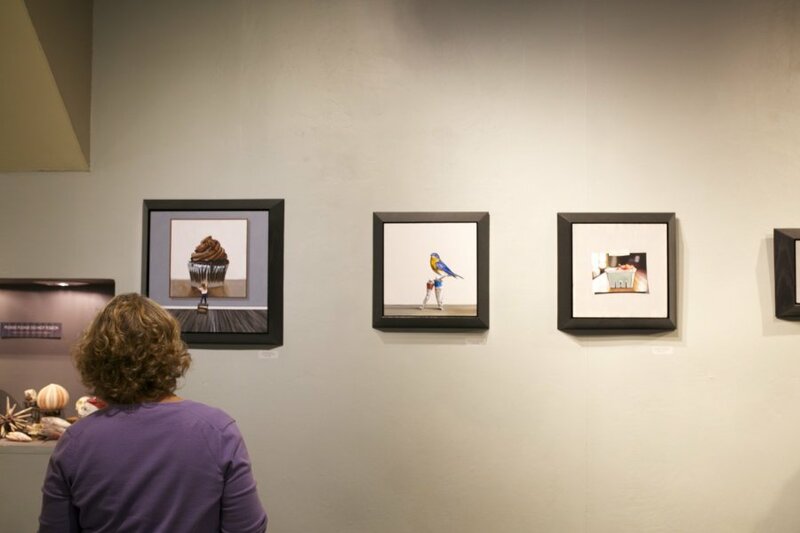 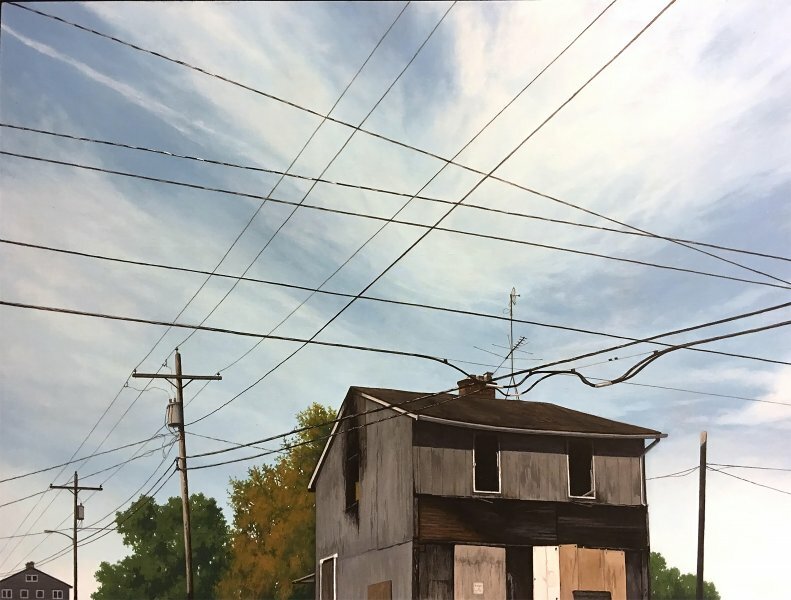 Included in the show are artists, Christopher Burk, Adam Hall, JB Boyd, KC Collins, Megan Aline, Brett Scheifflee, Josh Tiessen, Erik Johnson, Robert Lange, Mickey Williams, Kerry Brooks, Joshua Flint, Charles Williams, and Jason Drake. 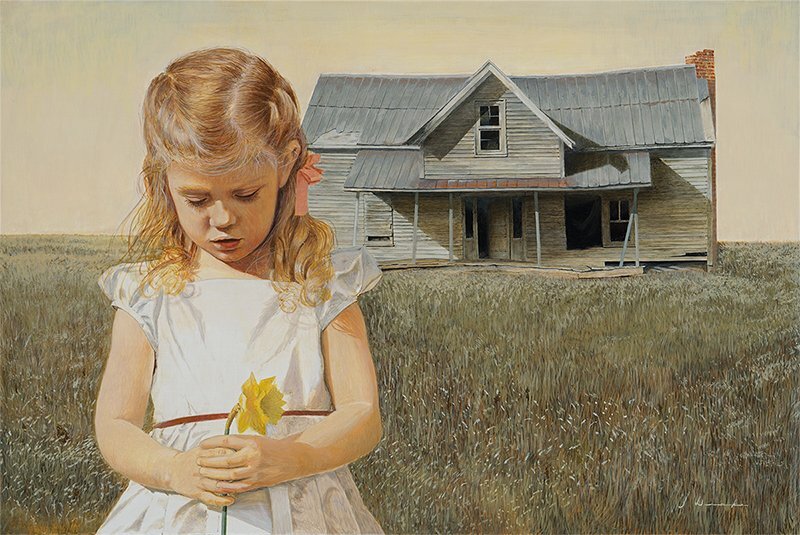 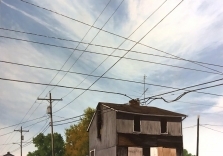 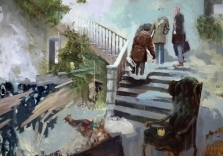 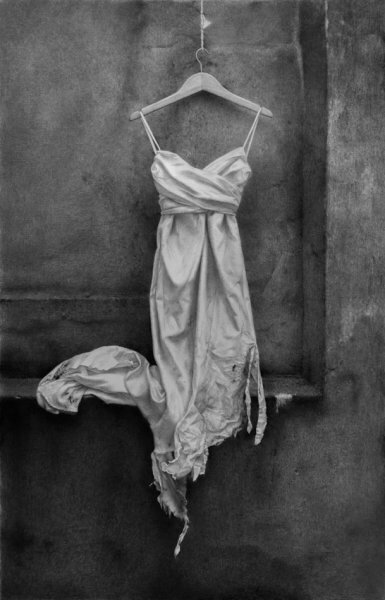 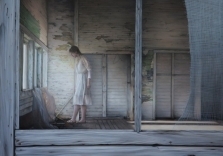 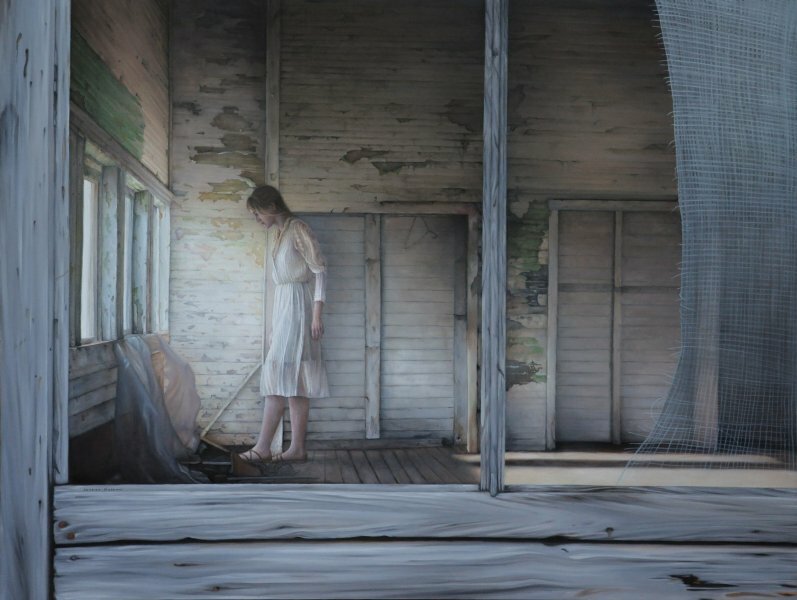 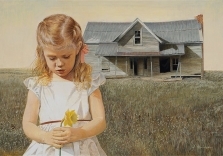 Lange’s paintings are descried as hyperrealist works in oil. For this show he is painting a fireplace with burning logs and glowing embers. 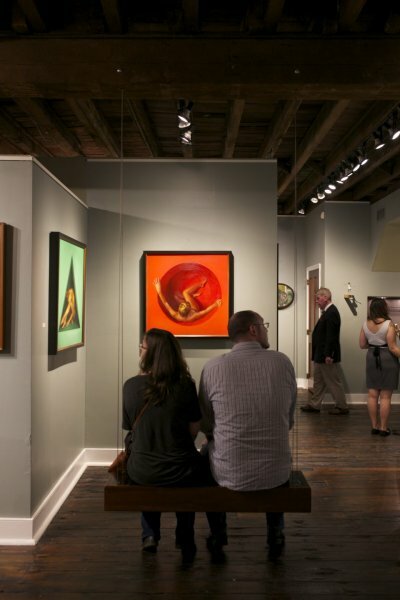 “I wanted to paint a natural element that wasn’t immediately obvious when we were think of the theme for the show,” said Robert Lange. 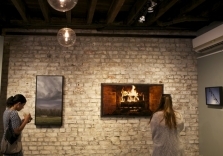 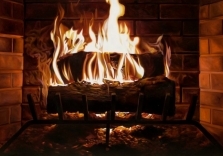 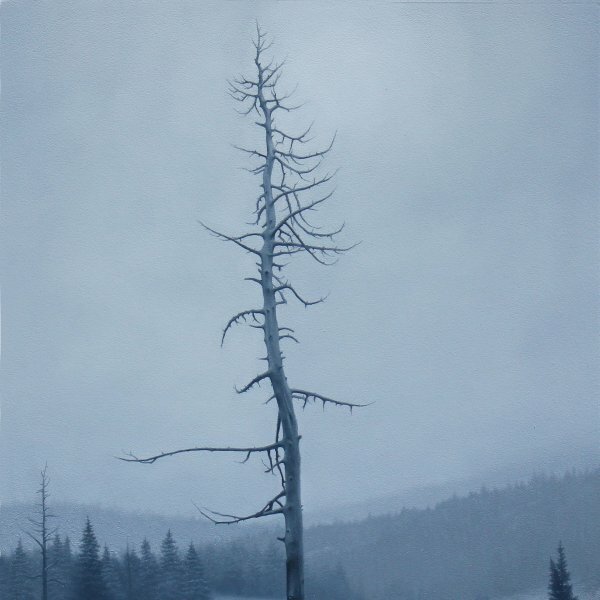 “I’m always drawn to the fire and its ability to transfix.” In the painting, the fireplace is housing the final moments of a tree’s cycle before it is reclaimed and turned to ash.